The one and only car manufacturer who stood no 1 in terms of a number of vehicles sold and revenue earned is nothing but Maruti Suzuki a market leader. Maruti occupied a position where others cannot by owing to its longevity, reliability, and durability. Any how Maruti always give its best and now it came up with life utility vehicle called “Ertiga”. 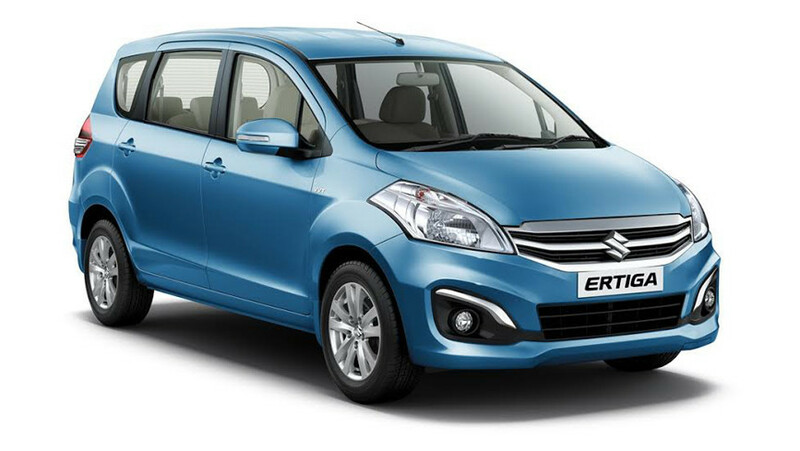 As Maruti said Ertiga holds big significance in India and for Suzuki motor corporation for the global markets”. The Ertiga is available in Variants like – Ldi, VDi, ZDi in diesel and LXi, VXi, ABS, ZXi in petrol. Maruti Ertiga comes with the choice of 2 engines which gives a thrilling experience with its performance. The petrol variant is of 1.4 liter K14B VVT engine which delivers 93.7bhp at 6000 rpm and a maximum torque pf 130Nm at 4000 rpm whereas the diesel variant is equipped with 1.3litre DDiS which churns out 88.7 bhp at 4000 rpm and a maximum torque of 200 Nm at 1750 rpm. The suspension of Maruti Suzuki Ertiga was relatively good consists of Mcpherson strut and torsion beam at the rear which imparts higher mounting rigidity, and it has disc brakes at the front and drum brakes at rear. The engine comes with 5-speed manual transmission which offers best shifts between gears. As discussed earlier the performance of Ertiga is an eye opener to rest of the car companies, which delivers a maximum power and offers high speeds and better mileage on roads. Maruti Ertiga has a perfect blend of style and subtle with its unique design and magnificent body graphics that looks traditional appeal of an MUV. It has 15-inch alloy wheels which offer robust and aggressive look to the vehicle. The exterior of it very stylishly designed with superb cluster lamps, smart side view mirrors, aerodynamic styling, inbuilt fog lamps and classic tail lamps. The colored bumpers define a strong and bold impression. The front grille and power windows state that Ertiga is stylish and trendy. The Ertiga interior is luxurious and spacious with front door trim pocket, glove box, folding assistant grip, sun visors, passengers side vanity mirror, ticket holder, remote fuel opener, space for personal accessories the power assisted tilt adjustable steering wheel with an integrated audio control which eases comfortable driving. The sporty dashboard, in built music system and chrome door, handles and silver trims adds beauty to the interiors. The Ertiga is a seven seater car which comes with adjustable driver’s seat and 2 & 3-row head restraints for comfort. Well equipped cabin with separate air conditioning in the rear provides chilled environment even in the 3 row. Moreover, Maruti safety standards are good and as for Ertiga also the safety standards are upto the mark as per industry such as ABS with EBD, 3 point ELR seat belt, SRS air bags and optimized strength and weight. Ertiga is also going to be a tough contender with its Pros like luxurious look, space, design and with safety measures like ABS with EBD and so on. Finally, Ertiga is going to be luxurious car among disastrous vehicles in Utility vehicle segment.